After facing a flood of social media backlash, Pizza Hut apologized for an ad that ran on its Israeli Facebook page ridiculing the leader of a Palestinian hunger strike. The ad, posted Sunday, came after Israel's Prison Service released a video showing Marwan Barghouti, 58, the leader of a 24-day-old Palestinian hunger strike, snacking in his jail cell. Pizza Hut retouched a screen shot to add a pizza box into Barghouti's cell and captioned it: "Barghouti: If you're going to break the strike, isn't pizza better?" The fast food company apologized for the ad in a Facebook post on Tuesday and said the Israeli PR agency that created it has been fired. "It was completely inappropriate and does not reflect the values of our brand," the company wrote. "We truly regret any hurt this may have caused." Pizza Hut did not immediately respond to NBC News' request for comment. Barghouti, a former leader of a militant wing of the Fatah political party, was convicted by an Israeli court in 2004 of heading attacks during a 2000 Palestinian uprising that killed five people. At the time, Barghouti said the trial was illegitimate and refused to deliver a defense to his charges. Palestinians have been campaigning for his release since. Palestinians in Israeli prisons led by Barghouti launched a hunger strike on April 18 calling for better jail conditions. His wife, Fadwa, has called the video showing her husband breaking his hunger strike "fabricated," The Guardian reported. Following its release, the ad received widespread criticism across social media. 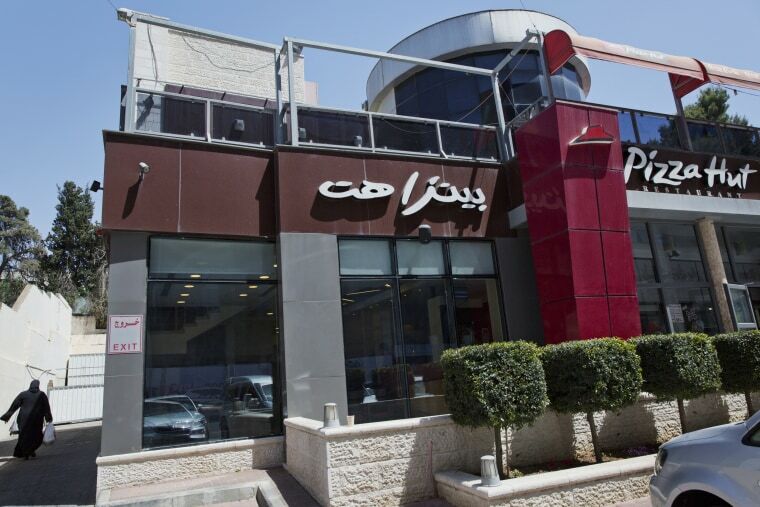 Users accused Pizza Hut of cruelly teasing Palestinian prisoners and urged their followers to boycott the company. The ad comes after a string of other controversial commercials in the United States. Last month, Pepsi came under fire for a video showing model Kendall Jenner making her way through a crowd of protesters and coming face to face with an officer before handing a can of Pepsi to a police officer. The commercial was pulled after it was widely criticized for appropriating the Black Lives Matter movement.